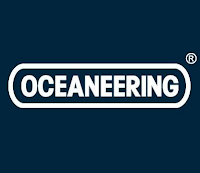 Oceaneering is a global oilfield provider of engineered services and products primarily to the offshore oil and gas industry, with a focus on deepwater applications. Through the use of its applied technology expertise, Oceaneering also serves the defense, entertainment, and aerospace industries. Oceaneering’s business offerings include remotely operated vehicles, built-to-order specialty subsea hardware, deepwater intervention and manned diving services, non-destructive testing and inspection, and engineering and project management. Oceaneering develop products and services for use throughout the lifecycle of an offshore oilfield, from drilling to decommissioning. We operate the world's premier fleet of work class ROVs. Additionally, we are a leader in offshore oilfield maintenance services, umbilicals, subsea hardware, and tooling. Oceaneering company ranks among the largest energy and engineering employers. We offer employees opportunity for growth and career development in diverse fields. Assist the Senior Engineer with the effective provision and operation of inspection systems and services to the allocated Assets/ sites. To ensure that plant and equipment is Certified in accordance with Oceaneering and Client codes of practice, strategies and legislasation. Support the Senior Discipline Engineers in the assessment of problems both technical and operational by sourcing information, progressing actions, notification of actions etc. Assist in RBA preparation and reviews as directed by discipline engineer. Assist in development of detailed plans, programmes and workscopes for annual corrosion and integrity monitoring etc. Assist in the preparation of workpacks as per the inspection programme or for unplanned activities. Retrieve project specific technical data from client library/documentation. Assist in mobilisation requirements as directed. Assist in reviewing and processing of inspection reports, anomaly reports (e.g. Inspection Queries (IQ) and Remedial Orders (RO)) etc. Management System (MMS) and/ or ACET (or similar database). Assist in maintaining registers such as for dead legs and temporary repairs. Assist with coordination in the anomaly process as directed. Assist with the coordination of reports for performance management or integrity data e.g. overdue reports, KPIs, as directed by your line manager. Assist with CTR’s and budgets. Carry out Offshore/ site visits/ surveys to support onshore activities as required. The list of job duties is not exclusive or exhaustive and the post holder will be required to undertake tasks that may reasonably be expected within the scope of the post. Ensure that business and HSE risk implications of integrity issues are clearly identified and assessed for consideration within the Oceaneering Integrity Management Team and communicated to the Client. Good communication both written and verbal (E). Input inspection data including that from corrosion monitoring into relevant Maintenance Management System (MMS) and/ or ACET (or similar database). Implement and deliver assigned asset corrosion engineering work including control strategy(ies). Participate in and effectively report upon those activities and practices. Provide other assigned corrosion engineering support services to Oceaneering and/ or client companies as required. Support the Line Manager (LM) in appropriate aspects of management of Oceaneering contract providing assurance on technical delivery and cost management. Assist in the development of appropriate annual budget. Ensure all work is complaint with relevant client engineering and safety standards and practices and review any revisions and feedback from client Integrity Focal Point. Ensure implementation of client corrosion management control strategy(ies). Participate in the risk based assessment process, and provide corrosion expertise and effectively interact with multi-disciplinary Risk Based Assessment (RBA) or other rocess groups. Input to the production and ongoing management of the asset Annual Inspection Plans and client planning process compliance for corrosion monitoring activities. Assist with corrosion input to asset Turnaround (TAR) programmes. Assist with producing pipework inspection workscopes and workpacks as directed by the Senior Inspection Engineers. Ensure the effective application of innovative inspection and corrosion engineering applications and specialist technologies. Input to the Inspection Query/Remedial Order (IQ/RO) process for corrosion and materials issues. Assist senior engineers with corrosion anomalies and failures. Undertake or co-ordinate failure investigations into material and corrosion issues in accordance with prescribed or approved failure investigation procedures. Provide technical assessment and interpretation of corrosion/inspection monitoring data (using ACET or other databases as appropriate). Recommend changes in corrosion criticality analyses and monitoring/inspection programmes where appropriate. Ensure effective data management within ACET database. Deliver periodic reports, corrosion status of systems, identification and assessment of significant trends from surveys and Corrosion and Chemical Control Matrices. Maintain appropriate level of contact with Asset Teams, 3rd Parties and internal disciplines to ensure an effective Corrosion Inspection Management (CIM) service. Attend TAR Meetings, RBA meetings, Asset Integrity meetings and technical practice documentation reviews as required and maintain appropriate levels of contact with asset teams and third parties to ensure an effective corrosion service. Support LM in production of Oceaneering monthly performance management report (Dashboard). Input into annual reporting as directed by LM. Assist the LM to achieve Key Performance Indicator (KPI) deliverables and overall management of the service. Ensure that personnel identify with and achieve, the necessary Health and Safety performance standards associated with the relative risks to personnel and plant in their environment and daily work. Validated by undergoing an annual eye test. 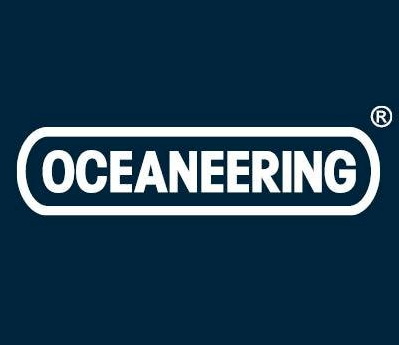 Oceaneering offer a competitive salary, a comprehensive benefits package, relocation support and the opportunity to advance in an international company. If you're interested in the above vacancy, please apply via link below. FRAUD WARNING!! Oceaneering will never ask applicant to pay a processing fee, ask for money or appoint any travel agent for the recruitment process. Thanks for reading Oceaneering Jobs: 3 Positions. Please share...!